Milwaukee School of Engineering received a B.
Washington Monthly's ranking of 219 out of 224 of Affordable Elite Colleges - Overall Rank was a major contributor to this grade. The Milwaukee School of Engineering is something of a hidden gem: a small, private school in downtown Milwaukee that offer an array of engineering programs as well as programs in nursing, technology communications, and business. The school boasts a 5-year placement rate nearly 100% and guarantees that you'll be able to take the classes required to graduate in four-years. Describe the type of student who should not attend Milwaukee School of Engineering and explain why. Describe the type of student who should attend Milwaukee School of Engineering. Why? What is a typical Milwaukee School of Engineering student like? Describe the type of person that should attend Milwaukee School of Engineering. What are the top 3 reasons someone should attend Milwaukee School of Engineering? What was a typical Milwaukee School of Engineering student like in high school? Describe the type of person that should attend Milwaukee School of Engineering. The typical MSOE student was a 3.5 and up g.p.a. while attending high school. 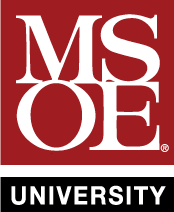 If you are ambitious and know what you want to do with your life MSOE is a good fit for you. Milwaukee School of Engineering is an independent, non-profit university with about 2,800 students that was founded in 1903. MSOE is the destination university for ambitious students and offers bachelor’s and master’s degrees in the fields of engineering, business, mathematics and nursing. The university has a national academic reputation; longstanding ties to business and industry; dedicated professors with real-world experience; extremely high placement rates; a close-knit community in a vibrant downtown neighborhood; a 4-year graduation guarantee; and the highest ROI and average starting and mid-career salaries of any Wisconsin university according to PayScale Inc. All classes are taught by professors, not teaching assistants, and students are admitted directly to their program of study—no waiting lists. That means students get a full four years of learning their specialty, unlike most universities. With years of practicing what they teach, MSOE professors are phenomenal instructors and even better mentors. Students receive, on average, 600 hours of lab experience in industry-standard laboratories. MSOE graduates are well-rounded, technologically experienced and highly productive professionals and leaders. What are the top 3 things that students do for fun at Milwaukee School of Engineering? We go to the noodles and company right next to our campus!! My friends and I get together every week and have a movie marathon. 27% of students received Pell Grants, which are provided by the U.S. government to students from middle and lower income families. It gives you an idea of a school’s socio-economic diversity. Campus housing is available for undergraduates. Housing deposit : $175.00. Housing deposit due : Jun 1. Housing deposit is refundable in full if student does not enroll.. Freshman allowed to have car. No pets. 37% of students live on-campus. 82% of freshman live on-campus. The average student pays $22,347 for tuition, fees, and other expenses, after grants and scholarships. Total stated tuition is $32,880, in-state and on-campus, before financial aid. Learn more about financial aid at http://www.msoe.edu/finaid. Estimate the net price for you at http://www.msoe.edu/financial-aid/net-price.shtml. 38% of students graduated on time. The typical (median) early career salary of Milwaukee School of Engineering graduates is $59,600, according to Payscale. Milwaukee School of Engineering participates in the NCAA Division III for college athletics. Want more info about Milwaukee School of Engineering? Get free advice from education experts and Noodle community members.